Listen to this week’s Carroll Hospital Health Chat featuring Carroll Hospice volunteer coordinator Kim Benson. 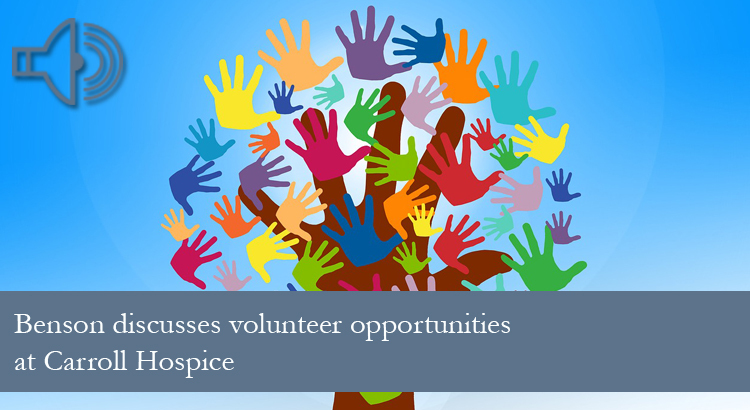 She discussed the variety of volunteer opportunities available at Carroll Hospice. Listen to the Carroll Hospital Health Chat live every Tuesday morning at 8:30 a.m. on WTTR AM 1470/FM102.3!